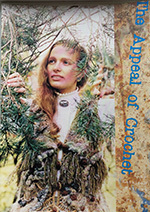 As a prolific author of books concerning all aspects of crochet, I carry a limited stock of books which, I feel, may be of use and of interest to those involved in crochet – whatever level of skill a person is at. As a prolific author of books concerning all aspects of crochet, Crochet Design carries a limited stock of books which, it is felt are valuable and of interest to those involved in crochet – whatever level of skill a person is at. 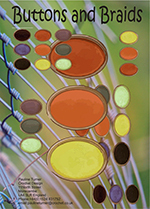 Pauline Turner's clear, illustrated book (Search Press) has been translated and is available world-wide. 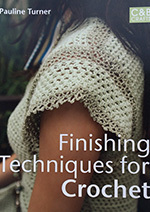 Published first in 2005, it is continuously being reprinted and is acclaimed the best guide from which to learn crochet. Pauline Turner was invested in the Hall of Fame 2018. 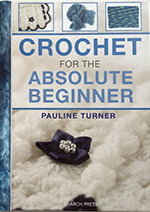 A crochet book taking you past the 'How-to' steps and introduces you to modern, exciting professional methos of crochet. Ideal for those wanting to design innovatory crochet. 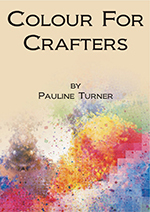 An ideal book for those wishing to explore colour, texture and surface crochet. 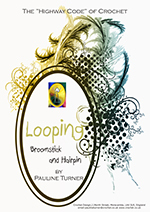 Contains wearable art patterns to stretch the imagination and the skills of a crochet worker. A long crochet hook is required for this kind of work. The loops are picked up for a full row in one direction, and then removed on the return. 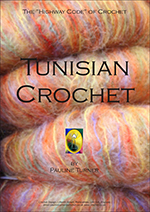 Contents contain basic, textured and lacy Tunisian stitches; how to embroider on basic Tunisian simple stitch; professional finishing techniques, and patterns..
An A5 paperback containing a variety of patterns for crochet buttons and crochet braids. Buttons can be difficult to find in exactly the colour you need but can be made from the yarn used for either crochet, knitting or to embellish other crafts. Similarly, braids are ideal for adding a design touch to a basic pattern. 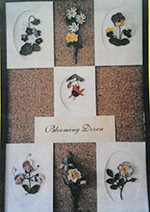 An A5 in-house book of patterns for flowers, their leaves, stems, buds etc for violet, iris, poppy, forget-me-not, daisy, daffodil, pansy, wild rose, carnation, buttercup, sweet pea, fuchsia. Black and white schetches may not show the beauty of the flowers but they remove the need to copy colour and enable you to select your own. Most importantly is the fact that the patterns really work. We are influenced by colour every day. This fascinating book looks at the powerful pulsations emitted by colours, each at a different rate of vibration, giving an awareness of why you love your craft. The information it contains helps you to realise how to use colour in your work so it is appreciated by others whilst giving you personal satisfaction. 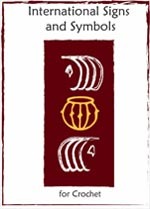 An ecellent support book when creating personalised and custom-made designs for others. Overseas purchases – contact Crochet Design for details.